We are all faced with an incredible amount of pressure in our day to day life. Pressure to be the perfect parent, the perfect spouse, the perfect employee, child, sibling or friend. As the pressure adds up we spend more and more time attempting to live up to the expectations of others, and not enough time taking care of ourselves mentally, emotionally, and spiritually. The outcome is a crippling amount of stress that in turn leads to further problems. Chronic stress can become toxic to the human body, leading to many ailments, one of which is adrenal fatigue. This condition occurs when your adrenal glands are unable to cope with the constant high amounts of stress. 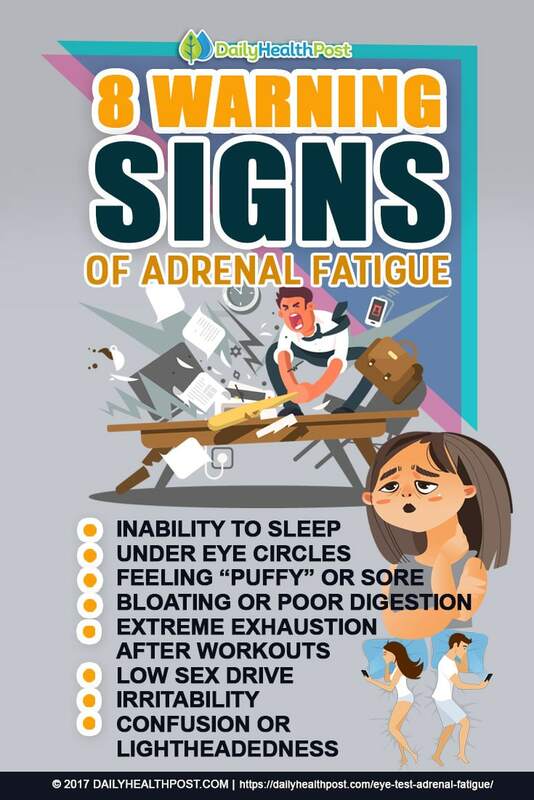 Here we will take a look at the signs, symptoms and causes of Adrenal Fatigue and how to treat it. While you are busy filling an already tight schedule, chasing after the kids, or preparing for a major presentation at work, your adrenal glands are getting a major workout. 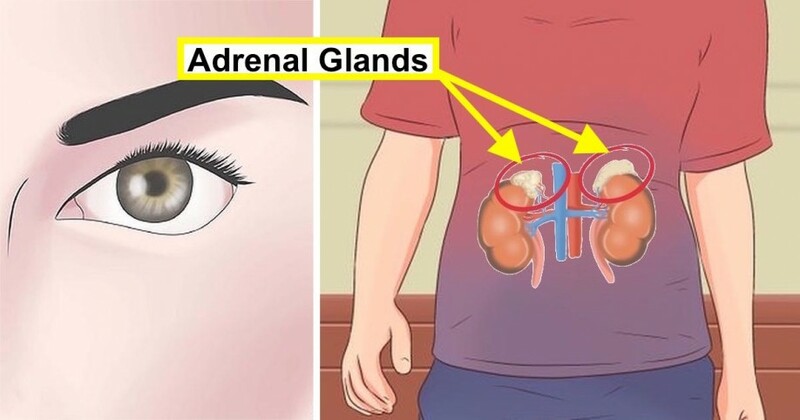 The adrenal gland is the head honcho of stress control, sitting on top of your kidneys; its major function is to control how your body handles stress through hormone production. This process affects everything from your carbohydrate, protein, and fat metabolism, to your electrolyte balance, heart and cardiovascular system, and even your libido (1). In order for this system to run smoothly, your adrenal glands have to create an adequate amount of cortisol (also known as the stress hormone). Cortisol is produced from cholesterol and is released in response to events such as waking up, intense workouts, and acute stress (2). When your adrenals cannot keep up with production you find yourself facing adrenal fatigue. 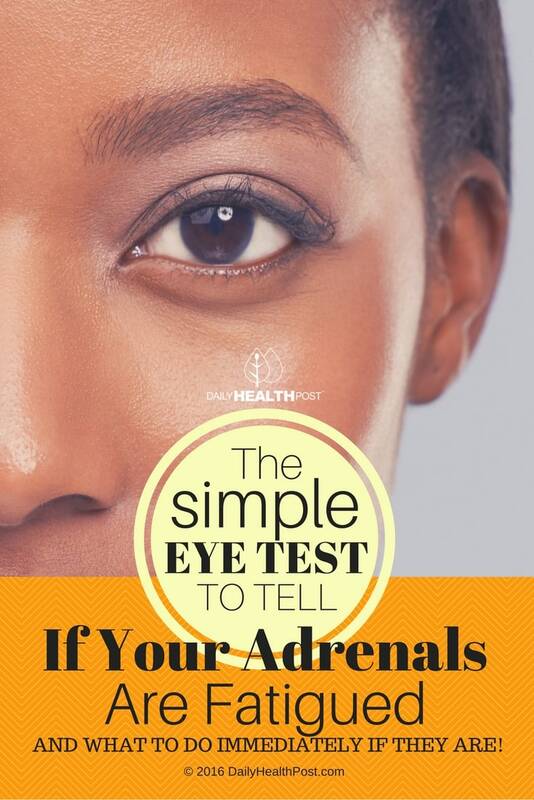 Latest Headlines » Wellness » The Simple Eye Test To Tell If Your Adrenals Are Fatigued And What To Do IMMEDIATELY If They Are!